I've gone through my makeup collection and complied a short list of drugstore items that I believe are dupes for high end brands. NYC Sunny Bronzer retails for $3 and Tarte Park Avenue Princess Bronzer comes as part of a contour palette that retails for $41. 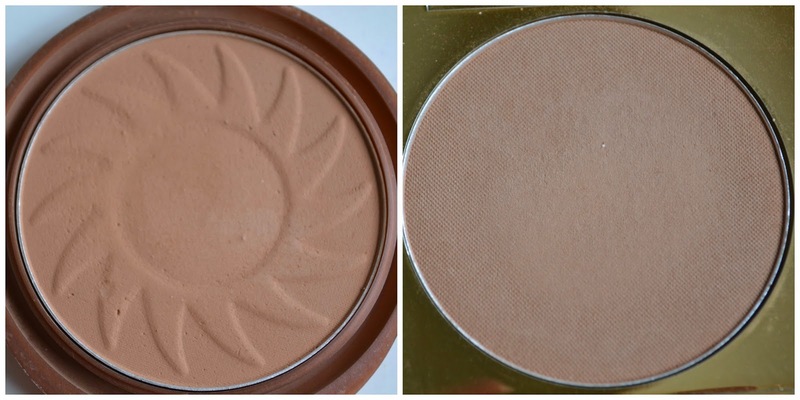 These two bronzers are very similar. Both are matte, slightly orange, pigmented and blend well. The NYC bronzer is more powdery than the Tarte alternative and the Tarte bronzer last longer and claims it's waterproof, but I think for the price The NYC bronzer is definietly worth it. 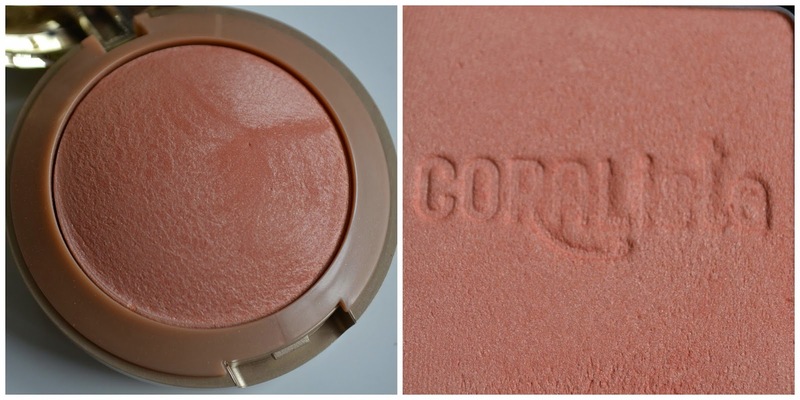 Milani's Luminoso Blush retails for $8.50 and Benefit's CORALista retails for $36. Although not exact dupes these two blushes leave a very similar look to the cheeks. A shimmery coral colour that is perfect for summer. The Milani blush is a little more coral while the Benefit blush is slightly lighter in colour. Both have a lot of golden shimmer throughout. Luminoso's formula is baked so it is a bit drier and slightly more powdery in consistency. If you can't afford to shell out for a Benefit blush I highly suggest you try Milani. Rimmel's eyeliners retail for $7 and the Urban Decay liners retail for $24. I have talked about Rimmel's Scandaleyes liners being a dupe for Urban Decay's 24/7 liners many times before on my blog. Although Urban Decay has a much wider shade selection, the formula's of the liners are very similar. They're waterproof, pigmented, creamy and long-lasting but you can still smudge them out before they set. The two similar shades I used as an example are Roach from Urban Decay and 03 Brown from Rimmel. The Wet & Wild Palette retails for about $4 while the Lorac Pro 2 Palette retails for $42. These two eyeshadow palettes aren't really a dupe but they are very similar. The Wet & Wild Palette doesn't contain any matte shades and has half the selection of shades as the Lorac Pro 2 palette but there are some dupes between the two. I really love both these palettes. The shadow quality of each palette is very impressive. Do you know of any good dupes? What I'm Wishing for This Year!